There are intangible forces that operate below the surface, invisible networks that intertwine us and impact our lives. There are gestures, moments, actions, reactions that leave indelible marks. These abstract records are an attempt to pull this unseen, unacknowledged framework up from below, in to the light. 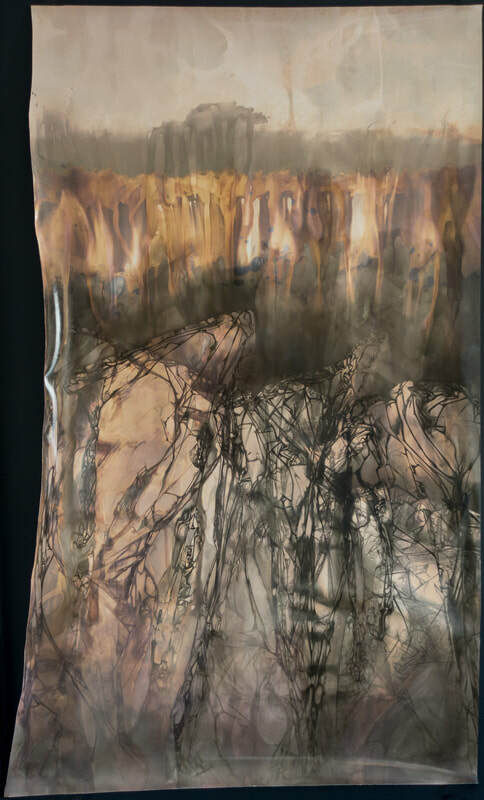 In the act of making these pieces, I am attempting to fix something that is fleeting, pin down one iteration of thousands of possibilities so that it can be brought forward and examined. These chemical paintings are my attempt to grapple with these massive forces that frequently seem beyond my control. 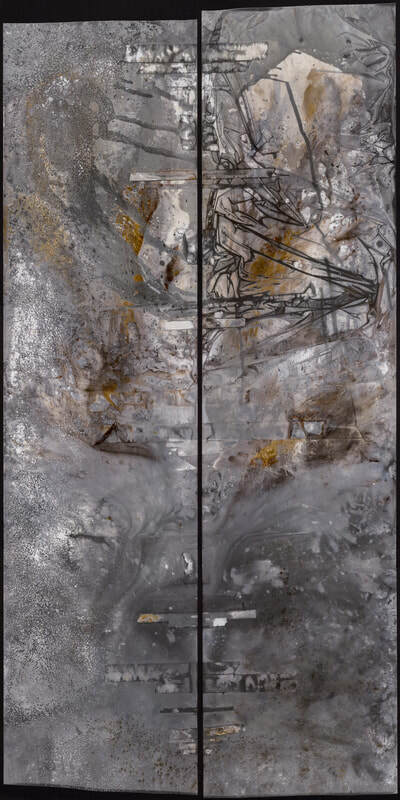 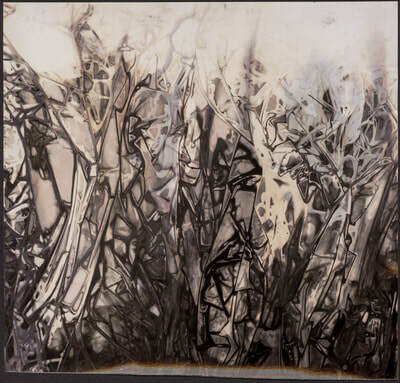 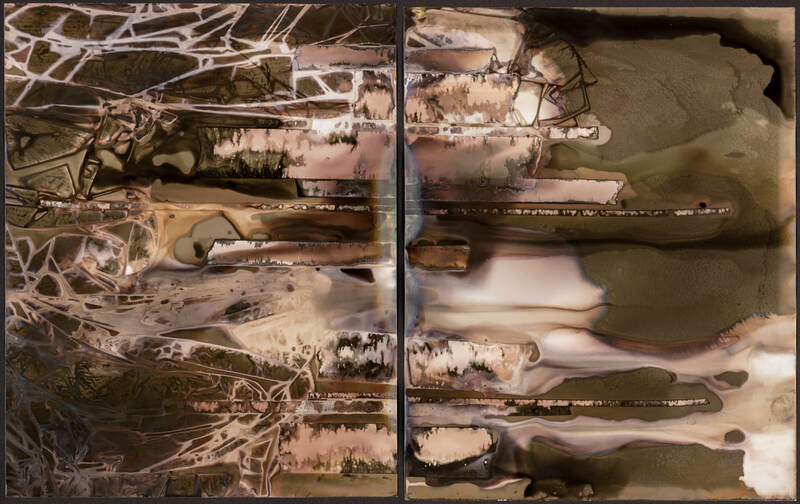 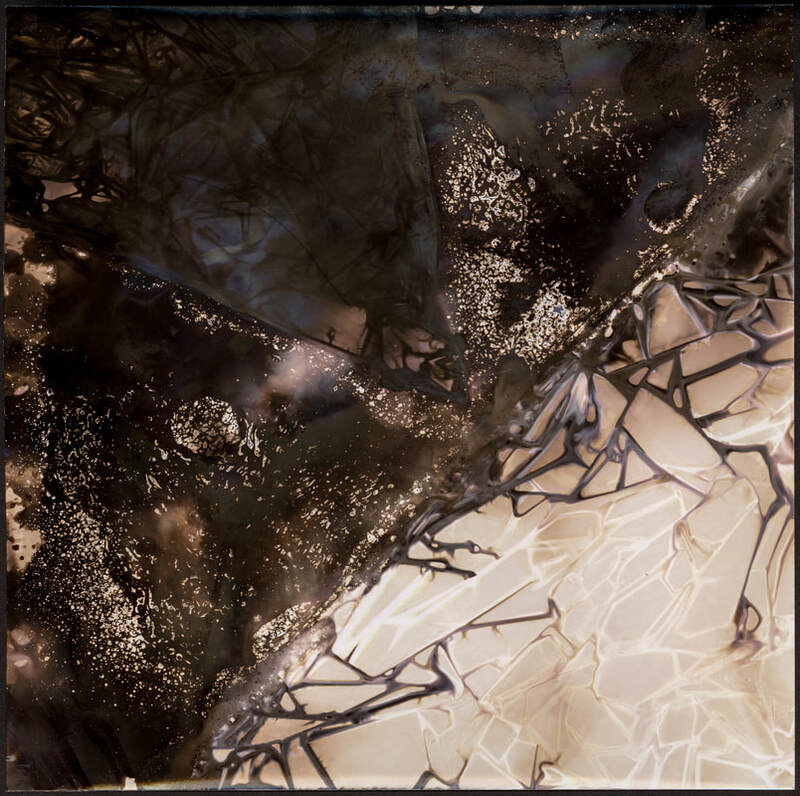 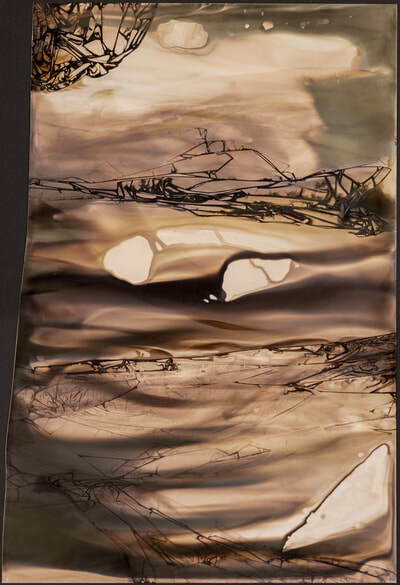 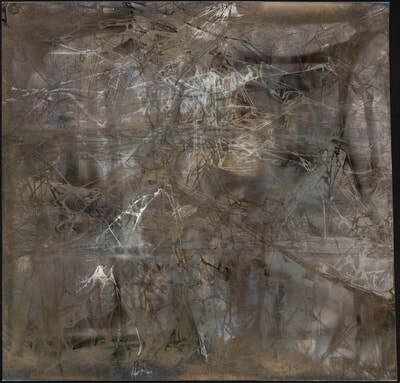 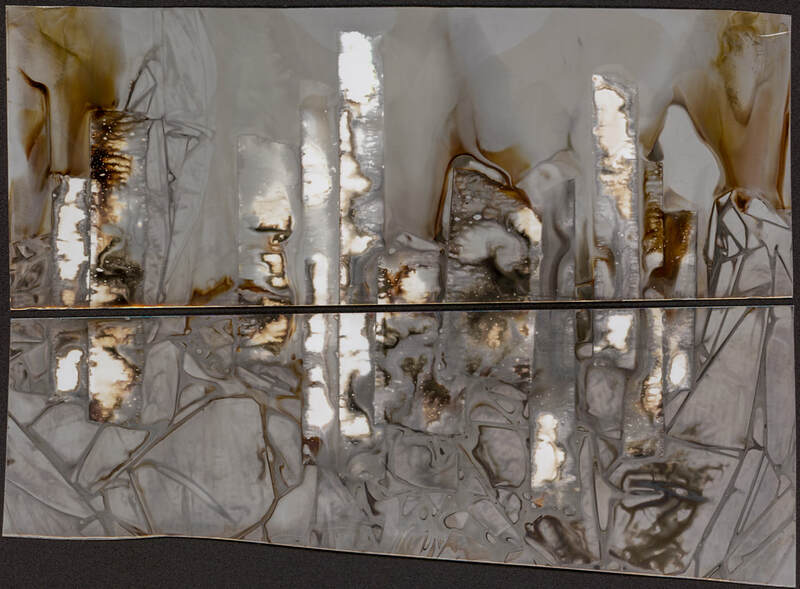 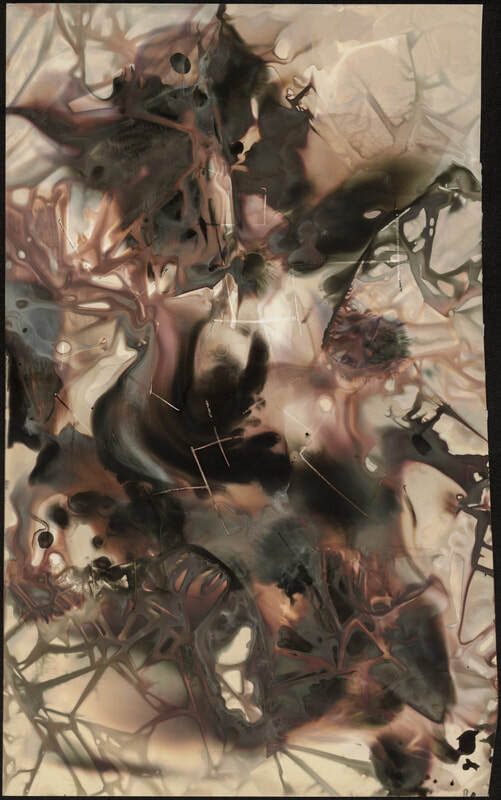 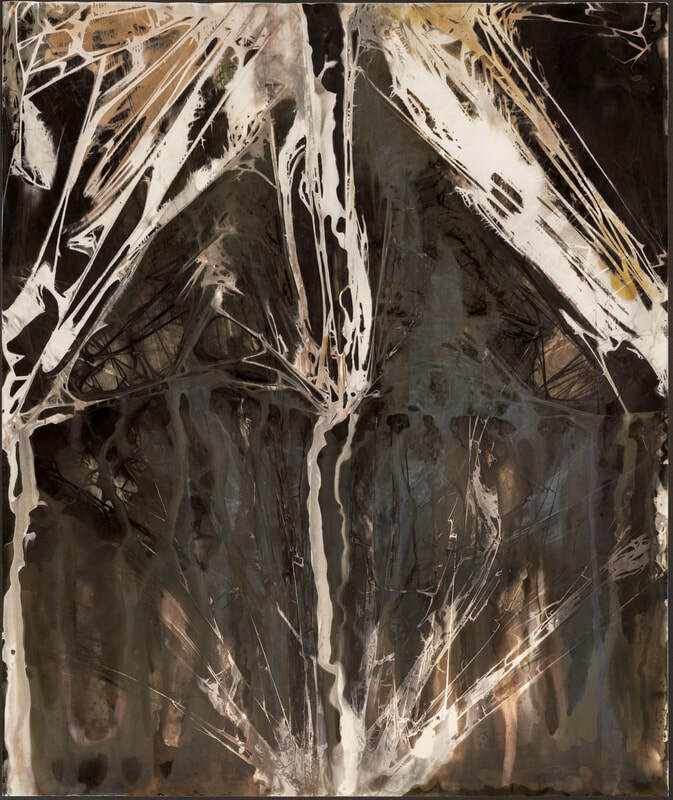 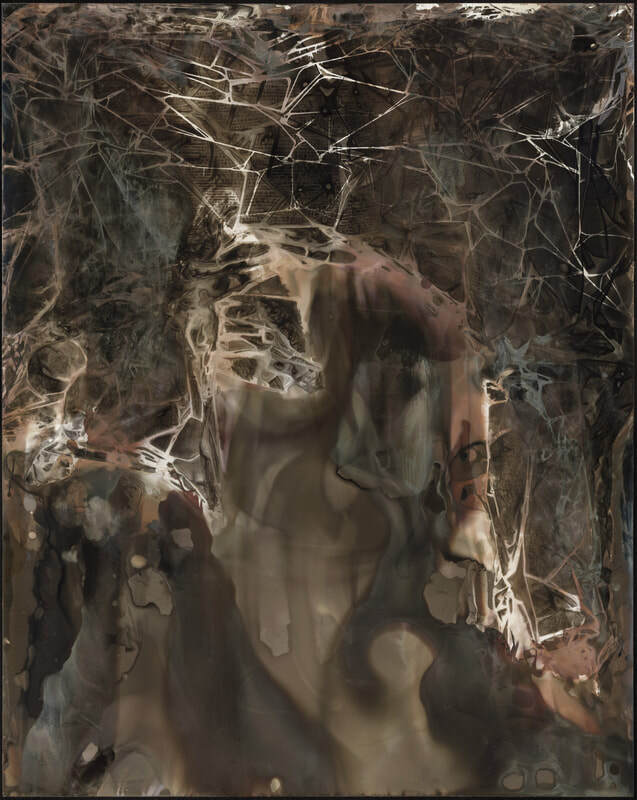 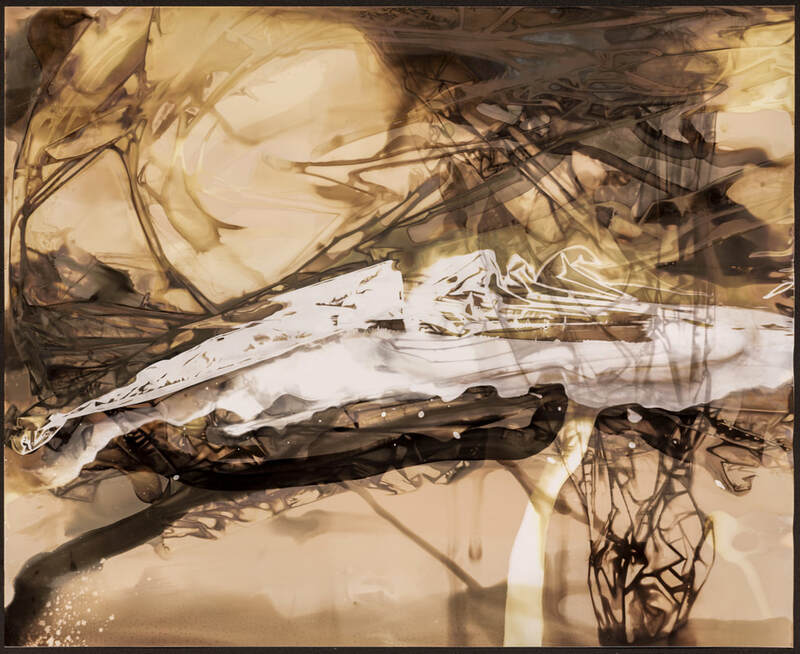 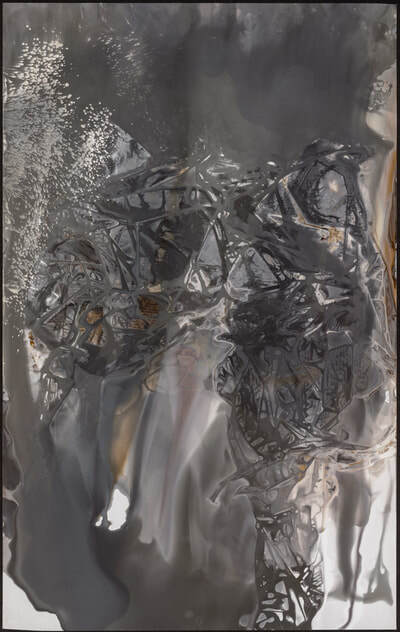 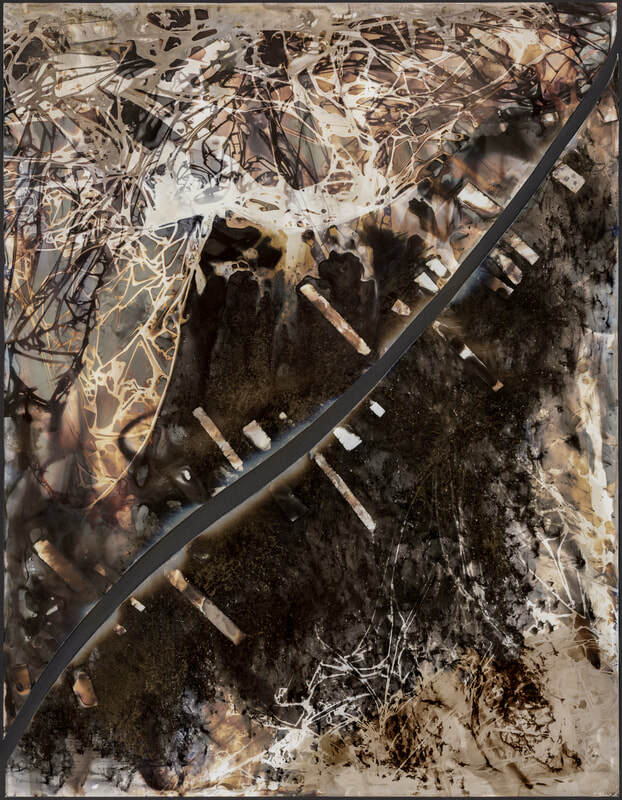 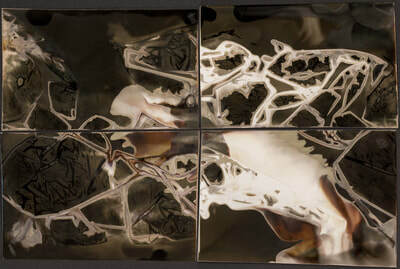 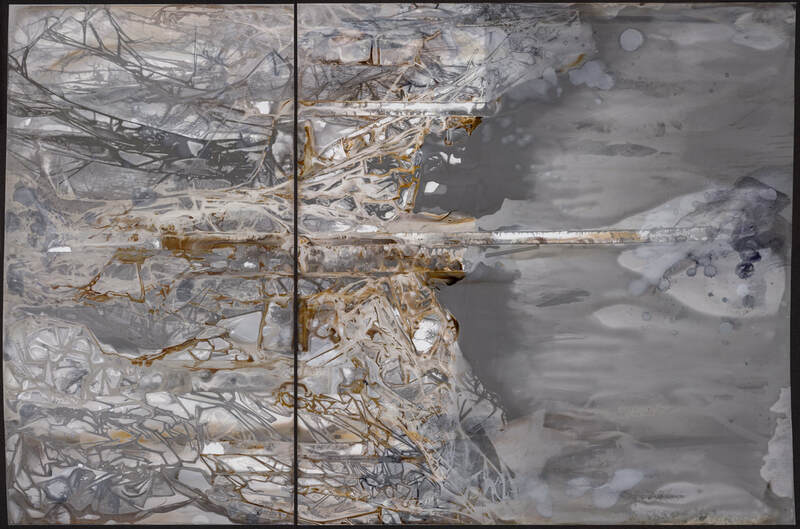 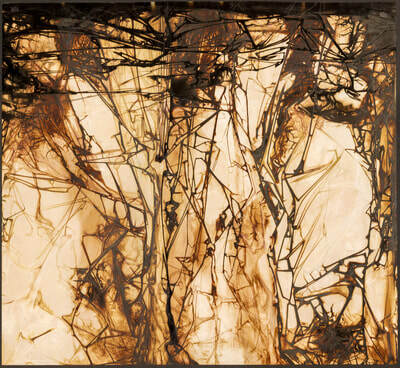 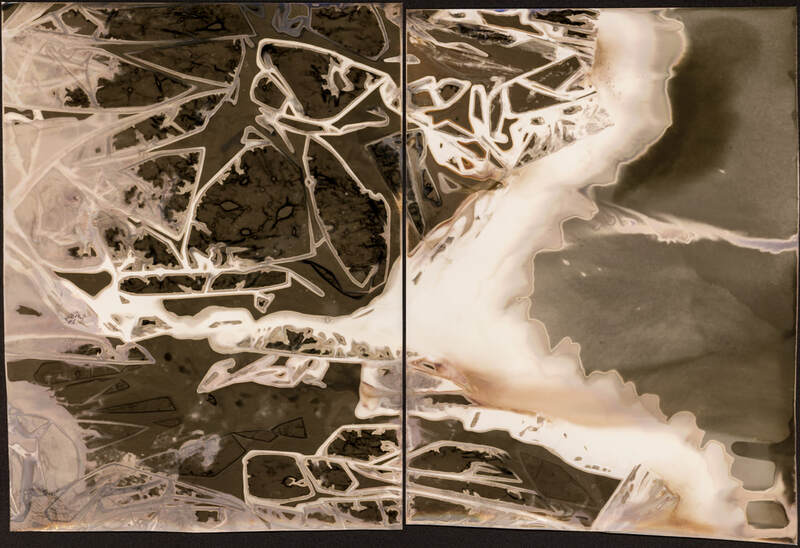 Note on the process: Each image is a unique, camera-less, lens-less chemical painting using traditional black and white darkroom chemistry and the chromoskedasic sabatier process on silver gelatin or chromogenic paper.